This is the new Pistachio Pudding In-Color! 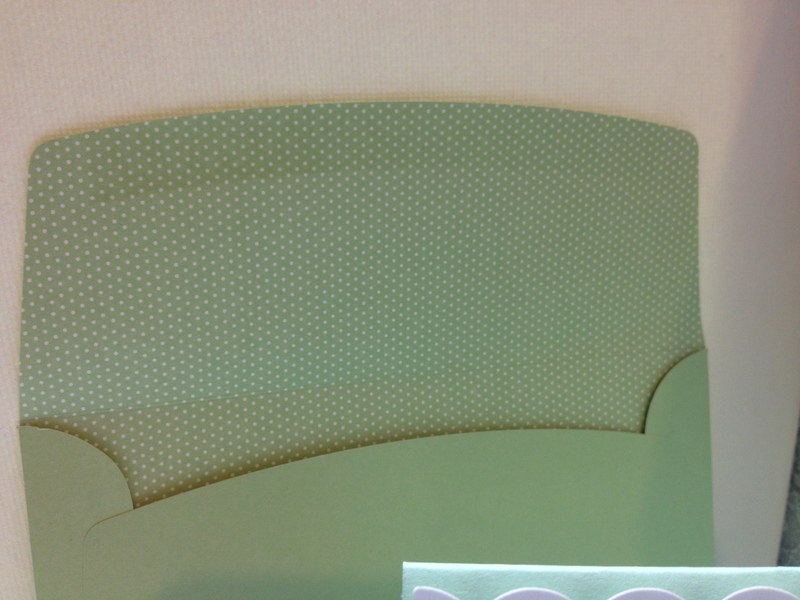 I am in love with this color, (and pistachio pudding) and was surprised to see the inside of the envelope to be nicely decorated with the small polka dots. This kit comes with 4 smoky slate and 4 pistachio pudding envelopes, 4 of each color taffeta ribbon pieces (15″ long each), 72 sticker hearts (both colors), and rhinestones.. these would be great kits to give as gifts, or to make invitations to a nice event. 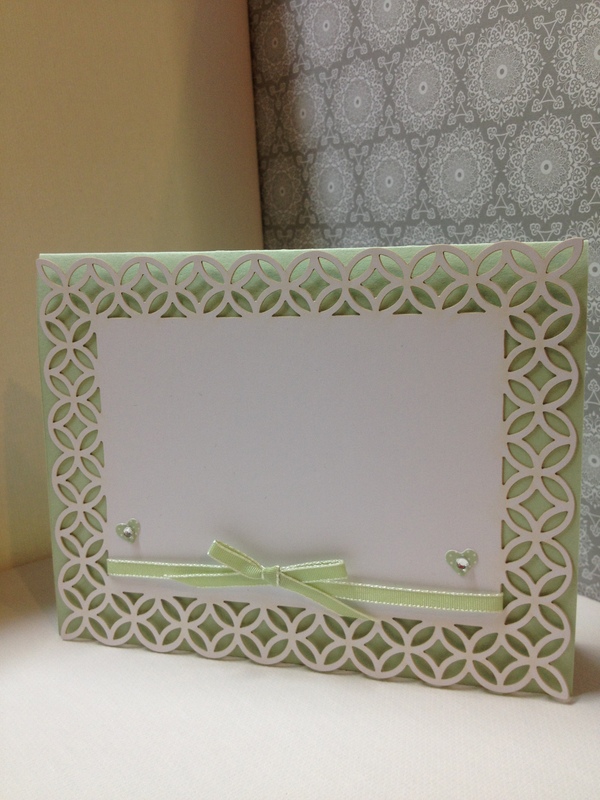 We mounted our laser-edged card (Whisper white) onto a piece of Pistachio Pudding card stock. If you’re ready to go shop in my online store, just click my link to my website and online store below. « Delightful Diva Day and a Give-Away!